The Sikligar are a primarily Sikh armorer caste who historically specialized in swordsmithing and repair. In recent years many skilled artisans within the community have focused on the dramatically more profitable illegal firearms trade where Ghost Guns are created from bits of scrap metal, likely without the help of a 3D printer. ” “We are born as skilled arms-makers and are making arms since ages. Where is the option for us? (The) government hardly cares for us. Most of our people are helpless because of utter poverty and we need money… even police take advantage of this,” said Kartar, another resident of Signoor. Police said that earlier most of the guns made by the community were .315 bore or .12 bore but now many of them have mastered the art of making high-precision 7.65 mm pistols. 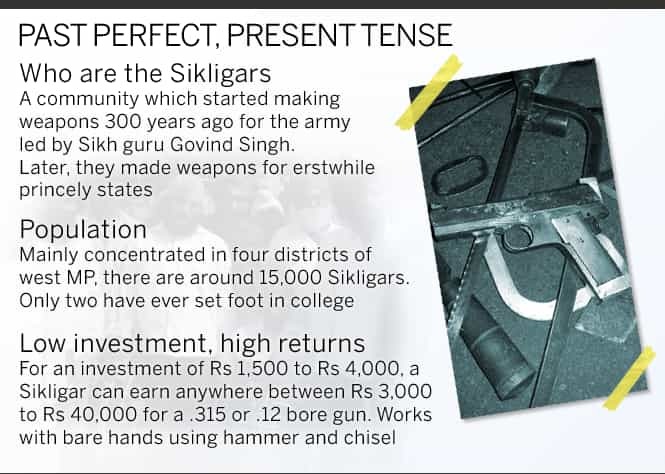 Police are also following up information that some of Sikligars have even started making automatic weapons. According to sources in the community, a Sikligar can earn anything between Rs. 3,000 to Rs 40,000 for an investment of Rs 1,500 to Rs 4,000. 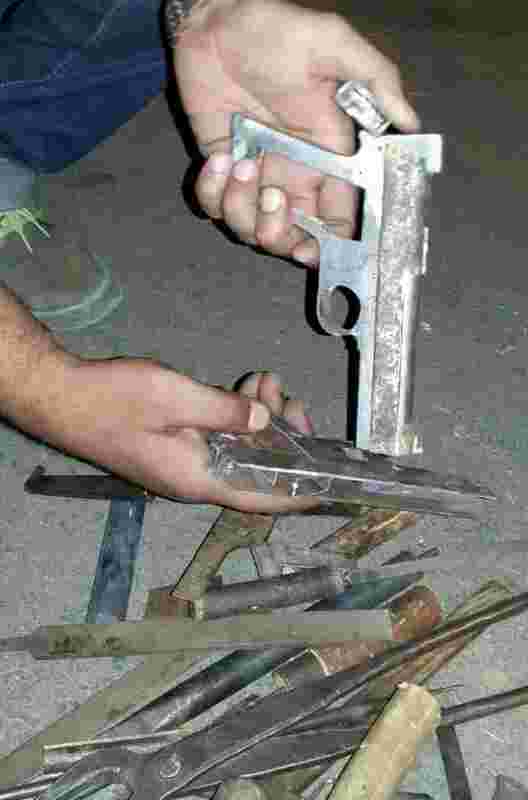 The automatic pistol in construction above appears to be made from sheet metal plates welded together and not dependent on any type of expensive modern machinery. Barrels in the region are often made from steel pipe or tubing salvaged from car parts or simply drilled out on an ancient lathe. This entry was posted in Semi auto pistols and tagged DIY, gun control, homebuilt guns, homemade gun, homemade pistols, illegal firearms, India, katta, Madhya Pradesh, Not 3D printed, sikligar on October 17, 2018 by ImproGuns.